This section will help guide you through the steps and best practices to set up and begin using the Incident Track application. If you have any questions or need any assistance, please feel free to contact us using the options to the right. Before getting started in Incident Track, you should set up sites and employees in your account. In a multi-site account, you can customize whether company information in incident reports is sourced from the primary site of your account or from the site that the involved employee is based at. To do this, select the desired value in the Company Information for Claims Processing dropdown on the Organization Settings page. Incident reports can optionally be distributed to employees or external contacts when the incident is saved. Distribution lists can be configured per site, incident type, or notification type. Secondary sites will inherit distribution list settings from the primary site unless a distribution is set up in that site. Click here to read more about setting up distribution lists in Incident Track. You can import historical incident data into Incident Track. We provide import spreadsheet templates for each incident type as well as one specifically for OSHA 300 logs. This support article provides instructions for importing incidents into your account. Important! : Be sure to select the desired site in your account before importing incidents. 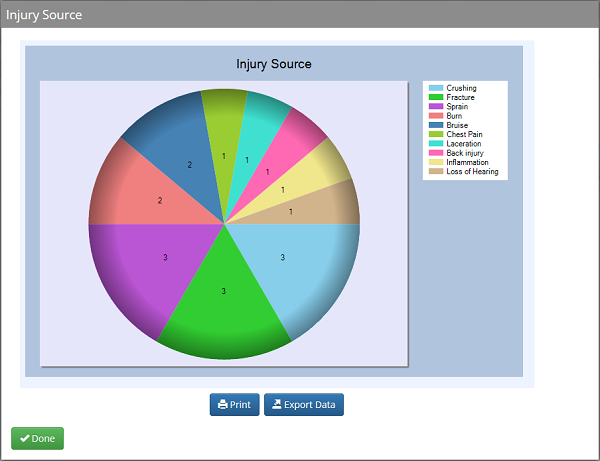 You are ready to begin using Incident Track to record incident data for your organization. This support article covers the steps to record a work-related incident. Electronic claims submission will need to be enabled by your provider, if desired. Once you have incident data loaded into Incident Track, you can run several reports on your data, including automatic generation of OSHA logs. You can also build custom trending graphs in multiple formats and export information from those graphs into a spreadsheet. Users that have full access to Incident Track in the primary site of an account are able to manage incidents in all sites of an account. When accessed in the primary site, the Advanced Search on the Manage Incidents page will allow users to filter incidents by any site in the account. When editing an incident in the primary site, users will be able to select any site in the account as the site that the involved employee is based at. Some set up options, such as managing custom lists and root causes, are only available in the primary site.